After upgrading to the iOS 7.1, users took to twitter to rant about it. Nobody knows for sure what causes the battery drain because the iOS 7.1 did not come with any major feature that could be suspected for the problem. Study the following methods carefully to learn of ways which you can improve your battery charge duration on the iPhone. You may also try these on previous iOS versions as well. Allow apps to refresh their content when on Wi-Fi or cellular, or use Location Services, in the background. Turning off apps may help preserve battery life. Dynamic wallpapers are animated backgrounds for your iPhone’s home and lock screen. This feature came in iOS 7. Dynamic wallpapers consume more battery power than their still counterparts. To check if you have dynamic wallpapers enabled, navigate to Settings > Wallpapers & Brightness > Choose Wallpaper, then select from Dynamic or Stills or better still from your photo library. Motion effects are animated effects in the iOS7 interface. This is unnecessary for most people. To disable motion effects, navigate to Settings > General > Accessibility > Reduce Motion, then switch it on. This feature came with iOS7, it automatically updates your apps when a new update is available. This contributes to battery drain. To turn it off, navigate to Settings > iTunes and App Store > Automatic Downloads, look for the “Updates” switch, then turn it off. There are a number of activities going on in your Notification center that can contribute to quick battery discharge. You may turn some of these off by going to Settings > Notification Center, then turn off anything you don’t like, especially on the “Today View” section. Navigate to Settings > Privacy > Location services, then turn off location services for individual apps you thing you do not need this feature on. A charge cycle is – charging your battery to its fullest capacity (100%) and then using it till it discharges back down to its lowest capacity (0%). Charge cycles helps your device in recalibrating the battery indicator to give a more accurate battery level all the time. It is advisable to do a charge cycle at least once every month. You can save a LOT of battery power by closing apps that you do not need at that time. Most apps that run in the background do refresh on their own regularly to update their content e.g Twitter. Double click the Home button to find apps that are currently open, then swipe upwards to close the ones you do not need. Rebooting a device has been the traditional way to fix small temporal bugs. 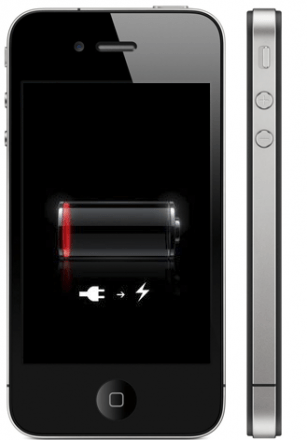 Press and hold the Sleep and Home buttons together for ten seconds to reboot your iPhone.